Home › Faculty & Staff › Davis, John N.
Professor John Davis joined the Osgoode faculty in 2000, and teaches Intensive Legal Research and Writing. He is a co-author of the Legal Research Handbook, 5th ed. (2003), and the author of “The Digital Storage, Retrieval and Transmission of Case Reports in Canada: A Brief History”, in Law Reporting and Legal Publishing in Canada: A History (1997). He was the Law Librarian from 2000 to 2005. 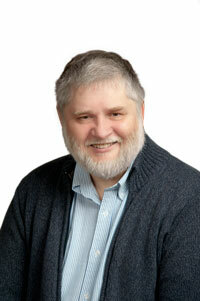 From 1987 to 2000, he was an Associate Professor and the Law Librarian at the University of Victoria. From 1981 to 1987, he was the reference librarian and a sessional lecturer at the University of Manitoba. He also practised law for a time in Cayuga, Ontario. His pre-law studies were in computer science. Professor Davis’ research interests include conveyancing law; the law of remedies, legal, constitutional, and first nations history; administrative law; legal language and interpretation; information technology law; and copyright. ‹ Daum Shanks, Signa A.